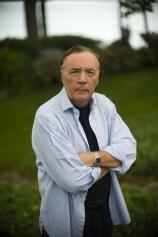 I don’t think that James Patterson and Maxine Paetro get quite enough credit for their Women’s Murder Club series. It would be easy at this point for that long-standing collaborative team to phone in a by-the-numbers story, given that they have a strong continuing cast led by Detective Lindsay Boxer and a fine mix of the mysterious and (to a lesser degree) the romantic. However, they continue to throw changeups into the series, book after book. Their latest effort, 16th SEDUCTION, is no exception. As is standard for this series, one mystery per book is simply not enough. Patterson and Paetro get a couple of puzzling and very dangerous plates spinning during the course of this book and keep them spinning through to the very end. The first to be introduced --- and the novel’s primary mover --- involves a horrific blast that destroys a popular San Francisco attraction and collaterally has the potential to irrevocably change Lindsay’s life forever. She and her semi-estranged husband, Joe, are celebrating their wedding anniversary across from the venue when the explosion occurs, and they readily jump into action. "You won’t read this book without perhaps being just a bit more polite to those you encounter, however briefly, during the course of your day, and being aware of who is around you at any given moment." Lindsay’s attention is attracted to an individual whose behavior at the scene is not so much bizarre as inappropriate. It develops that he is a high school science teacher named Connor Grant, who is so much more than that. Grant confesses to Lindsay and Joe that he created the explosion. After his arrest, though, he vehemently denies his confession or any involvement at all in the bombing. A good deal of 16th SEDUCTION swerves from police procedural to courtroom thriller as Yuki Castellano is recruited back to the District Attorney’s office to prosecute Grant, who insists on representing himself at the trial, which he does with brilliant aplomb. Meanwhile, medical examiner Claire Washburn has discovered that a diabolical serial killer is operating seemingly at will on the streets of San Francisco. Otherwise healthy people (for the most part) are suddenly dropping dead for no apparent reason. Claire notices an injection mark on the body of one of the deceased and soon detects similar markings on others. The doer is a really, really scary guy, all the more so because he is someone who most of us would pay only peripheral attention to, if not outright ignore. Patterson and Paetro are experts at creating frightening and memorable villains, and as always do yeoman’s work in that respect in their latest effort. You won’t read this book without perhaps being just a bit more polite to those you encounter, however briefly, during the course of your day, and being aware of who is around you at any given moment. 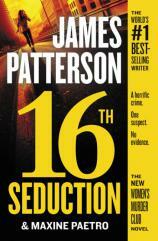 16th SEDUCTION may or may not be the best installment in the Women’s Murder Club series, but it is certain to be one of the favorites. It has a number of elements --- including a cliffhanger aspect that runs through a good deal of the book, and a couple of ticking clocks --- that keep the pages turning. But it’s the fact that the reader never (and I mean never) knows from one page to the next what might happen that continues to make this series successful and suspenseful.